It's pretty fair, at this point, to say that this was a bust year for new sitcoms. 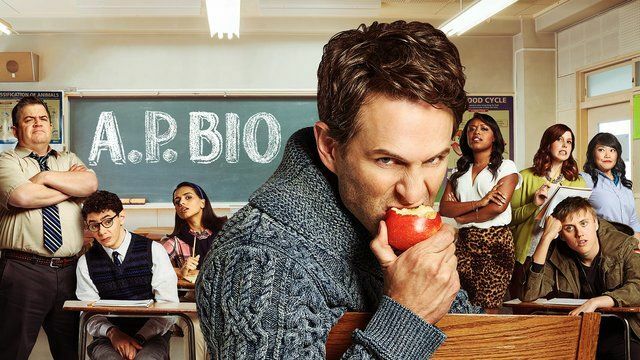 After NBC's AP Bio has gotten off to a slow start both commercially and critically, it becomes the latest in a long line of disappointing network comedies. Is this the end for network comedies? Have streaming and cable finally overtaken the network sitcom we all know and love? Well...maybe not. Every time there's an off year for sitcoms, it seems that armies of people become ready to bury the network sitcom, and yet it always comes back eventually. Still, it'd be nice to have a solid new slate of sitcoms next year. Here are some things I'd like to see from upcoming network sitcoms. Interesting concepts. The best comedy on network TV right now is The Good Place, and while that show works largely because of its excellent cast and top-notch writing, its truly unique concept certainly helps. The show feels absolutely nothing like anything else on TV, and it's managed to still be a critical and commercial success. I would love to see more of The Good Place's innovation on network television. After all, its success proves that show can be as original and mind-blowing as The Good Place and still pull in a large enough audience to be an easy renewal every year. So what's network TV's excuse? Ensemble comedies. Over the past few years, the ensemble comedy has sort of fallen by the wayside. The one major exception is NBC's Superstore, another of the few critical and commercially successful comedies left on broadcast TV. A few years ago, ensemble series were all the rage, from Community to The Office to Happy Endings to Cougar Town. I'd love to see them make a comeback. A good ensemble comedy can feel like hanging out with a cherished group of friends week after week. Less remakes. C'mon, networks - I get that it's tempting, but how long can this remake trend really last? After all, even Will & Grace has come down quite a bit since its big start. Remakes aren't sustainable, but new ideas and new talent is. Nickelodeon announced it has greenlit a new live-action series, Cousins for Life (20 episodes), from veteran creators and executive producers Kevin Kopelow and Heath Seifert (Austin & Ally, All That). The new buddy comedy centers on 12-year-old cousins Stuart (Dallas Young) and Ivy (Scarlet Spencer), best friends who come from very different backgrounds, and learn to navigate life under one roof with their families. Cousins For Life begins production in Los Angeles this summer, and the series is scheduled to air later this year. After Stuart's mom is deployed overseas, his fun-loving dad Clark (Ishmel Sahid) decides to move the family to Portland to live with his uptight brother Lewis (Ron G.) and his family, which includes Stuart's confident, socially active cousin Ivy and her younger, overly-curious brother Leaf (Micah Abbey). Now living in a brand new city, Stuart embarks on a variety of endeavors with Ivy that lead to hilarious adventures. Although the cousins do not always see eye-to-eye, Ivy and Stuart learn they are better together, and when they team up, they are unstoppable.